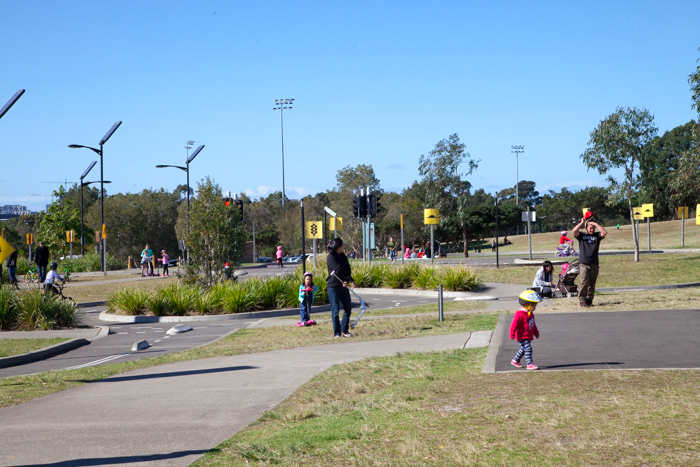 Sydney Park + Cycling Center: A Tricycle Built For One - Adventure, baby! 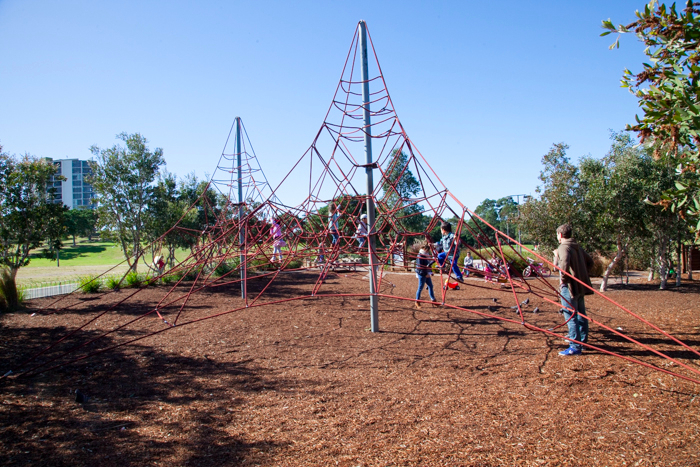 A new favourite weekend location for us is Sydney Park in St Peters. 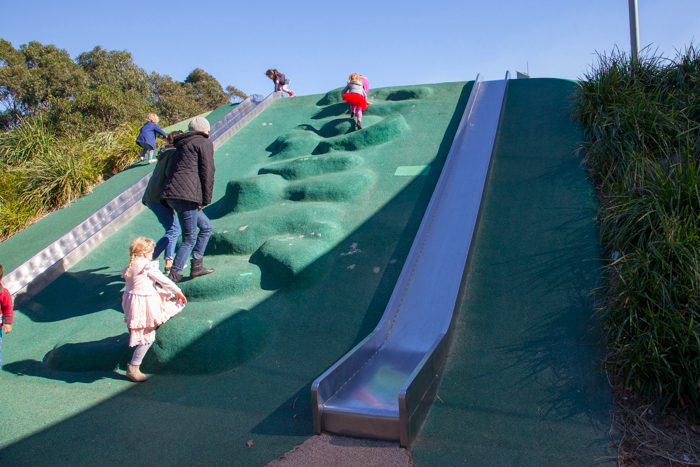 This 40-hectare park contains large expanses of grass perfect for kicking a ball around, landscaped gardens, rolling hills (great for sliding down on cardboard boxes – not kidding! 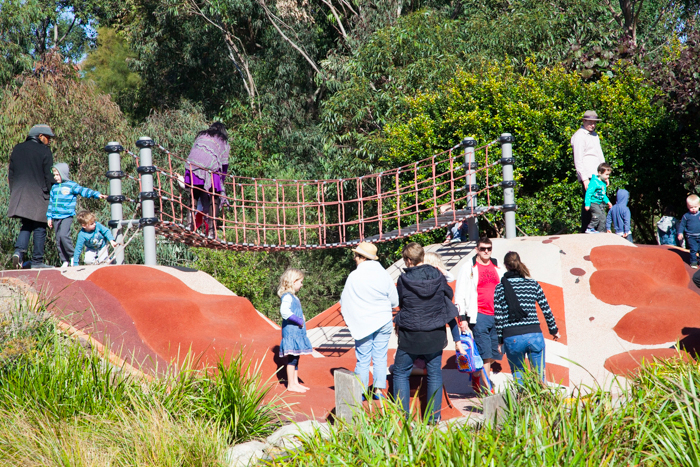 ), pathways for strolling or running and wetlands home to native birds. 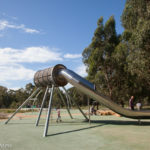 The park is also super dog-friendly, so on any given day you’ll see many many many dogs rolling, running and snuffling with abandon. 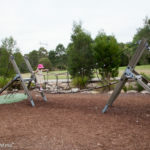 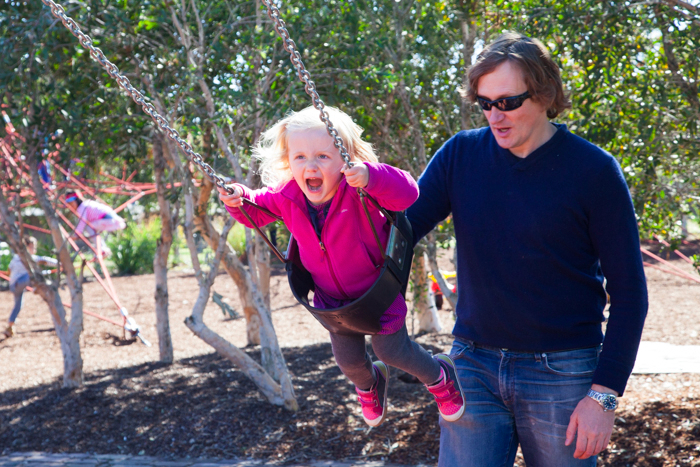 Our two favourite areas of the park are the huge playground and The Sydney Park Cycling Centre. 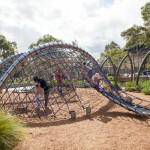 The playground is particularly great as it as it has tactile equipment for kids of all ages. 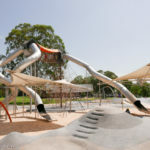 A large, fenced in sandpit is fun for babies as well as older kids, plus swings, slides, a strung bridge and rope climbing web make for a one-of-a-kind playground that will keep children entertained for hours. 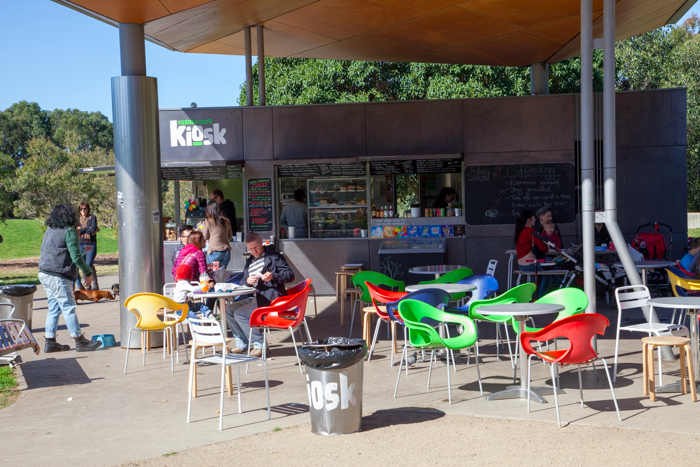 On the edge of the playground sits Sydney Park Kiosk, a great spot to refuel. 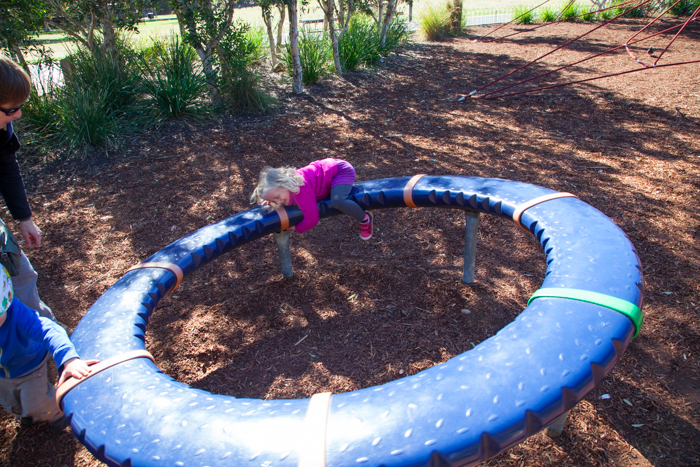 Undercover seating is available. 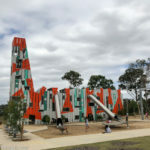 Bathrooms including change tables are next to the kiosk and playground. 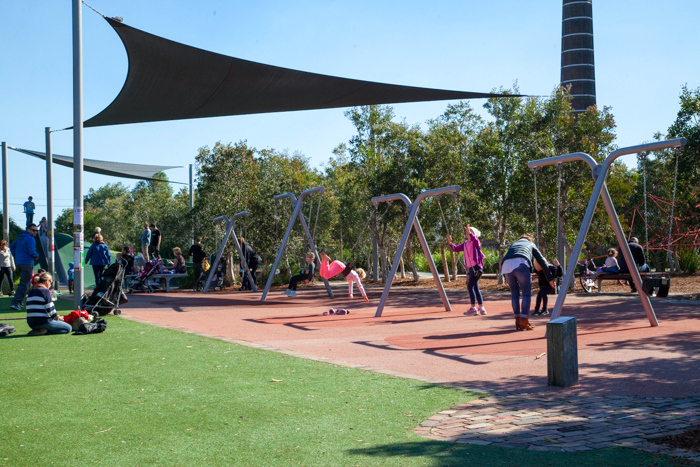 The Sydney Park Cycling Centre is a short walk from the playground. 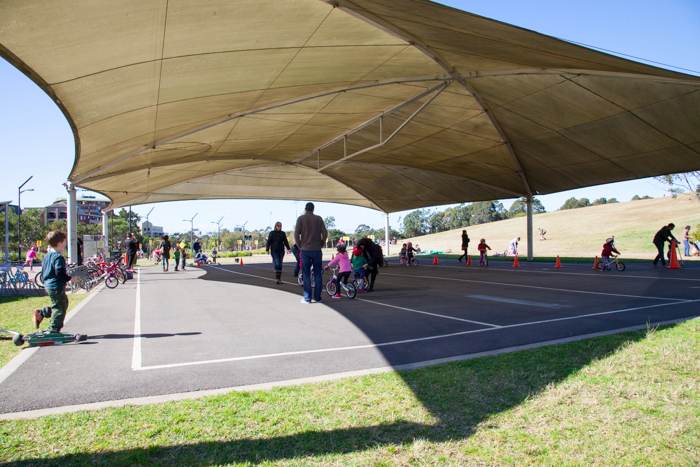 The cycling centre is a unique area designed to help families teach their kids about cycling and road safety. 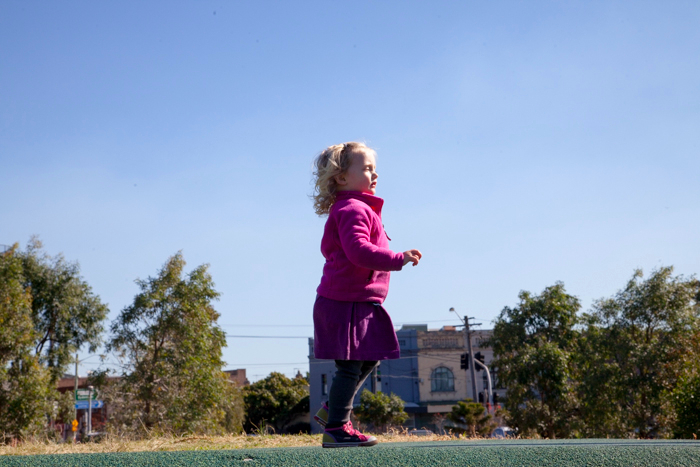 Kids can test out their wheels undercover on a large asphalt surface, and then try the “road” – a circuit set up with traffic lights, lanes and pedestrian crossings. 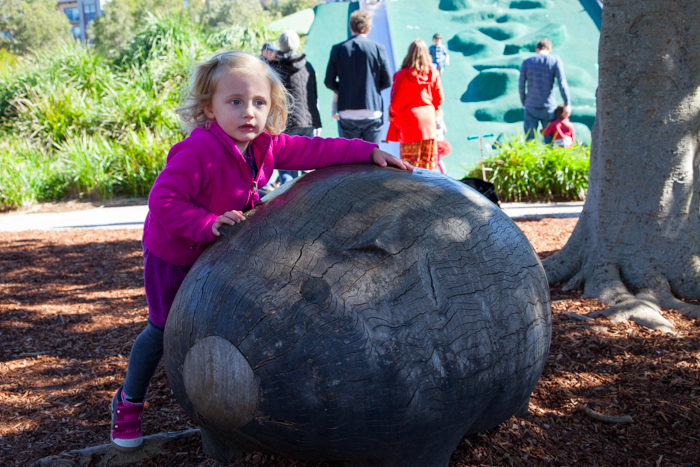 Perfect for teaching kids the basics about road safety before taking them for the real deal. 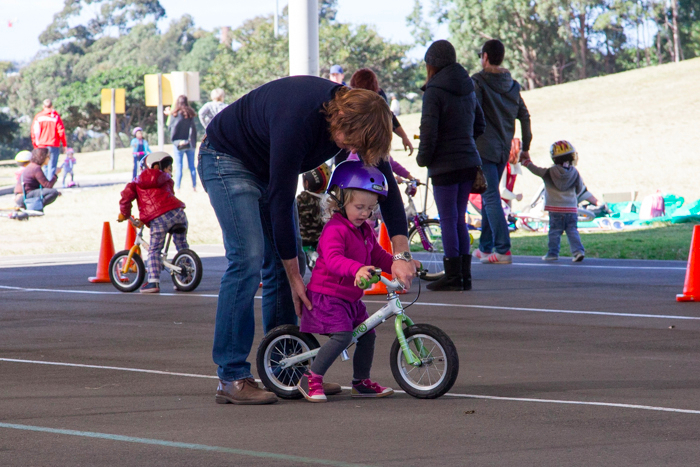 The Cycling Centre runs a free Parent & Child Clinic every Saturday to teach pre-schoolers to ride balance bikes. 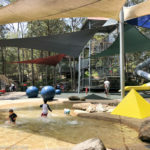 The sessions are staffed by experienced professional instructors who give advice and provide equipment to help kids get pedalling safely on two wheels.